There are two parts to this submission. Both question the need for Bill C-48. • Why is it necessary or appropriate to ban specific tanker traffic along a specific section of Canada’s West Coast, when there are no similar bans on any traffic along any other Canadian coastline? • Passing Bill C-48 will take leverage away from Canadian negotiators in the North American Free Trade Agreement (NAFTA) renegotiation. There are no restrictions on tankers carrying crude and persistent oils from stopping, loading and unloading at ports along any of Canada’s other coastlines, particularly the East Coast or internal waterways, like the St. Lawrence River, where oil tankers regularly travel. Implementing Bill C-48 will send a clear message that it is okay to have oil tanker traffic when it supports refinery jobs in Montreal, Sarnia, Quebec City and Saint John, but not when it supports jobs in Alberta and Saskatchewan tied to the export of western Canadian oil to Asia. B.C.’s north coast is beautiful and pristine but it does not have a monopoly on either of those qualities. All of Canada’s coastlines, ocean as well as inland, deserve protection. The government’s focus should be on improving Canada’s marine oil spill preparedness and response regime. But even now, ships and oil handling facilities are required by legislation to have a plan in place to mitigate and repair any potential damage done to the marine environment – and pay for it. The use of single-hulled oil tankers in Canadian waters has been completely phased out – double- or even triple-hulled vessels are the standard. There are four marine response organizations responsible for different regions of Canada that provide oil spill response training. The National Aerial Surveillance Program’s air crews can detect oil spills as small as one litre in the Canadian waters they monitor. But notwithstanding these improvements, the government is right to continue implementing measures to ensure we have the best marine protection possible. Transport Canada’s $1.5 billion ocean protection plan is a good step in this direction. 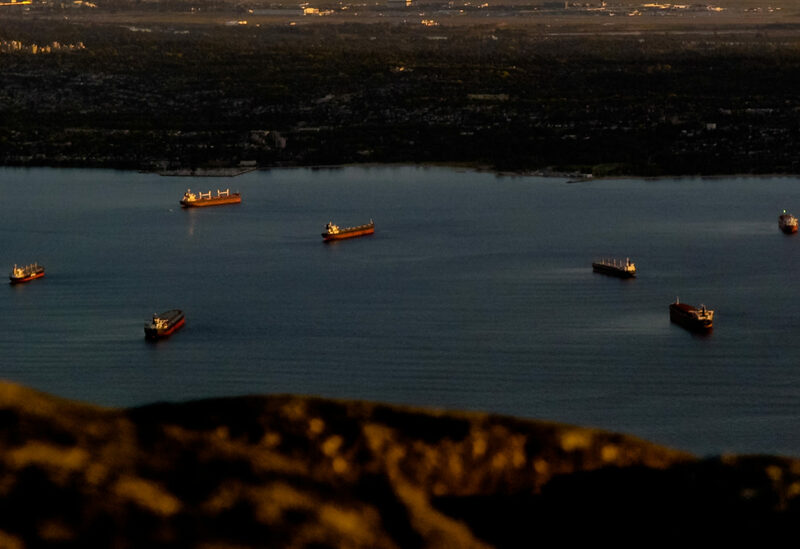 But banning tanker traffic on one portion of one of Canada’s coastlines is unfairly and unjustifiably selective. The federal government should focus on how to ensure the best environmental protection on ALL of Canada’s equally deserving coasts while ensuring our economic prosperity – not on a politically motivated and selective ban that will unfairly hurt some Canadians. A major difference between the original NAFTA negotiations and today is that, then, the U.S. needed our oil and other energy because it simply did not have enough of its own. Now, thanks to fracking technologies and other developments, the U.S. produces a lot of its own energy – but its refinery infrastructure still depends in large measure on Canadian crude – and its profits very much depend on obtaining that crude at the discounted price it gets to pay because we have, for now, no other customers. Passing Bill C-48 will, by ensuring our inability to sell oil to Asia, immediately eliminate one of the best leverage points Canada would otherwise have in the NAFTA renegotiations: it removes the potential to export more of our oil to Asian markets, lessening dependence on, and capture by, U.S. refineries. The second largest component of the trade in goods between Canada and the U.S. is mineral products, 66 per cent of which in 2016 was oil. Last year, the value of Canadian crude oil exported to the U.S. was C$51 billion. Canada supplied the majority (41 per cent) of U.S. crude oil imports in 2016. The majority (74 per cent) of crude oil shipped from Canada to the U.S. is heavy crude. The U.S. refines crude oil – including the imports from Canada – for its own consumption and export. In 2016, the U.S. earned more than US$64 billion from exporting refined oil products. Using the average Canada-U.S. exchange rate in 2016, this converts to nearly C$85 billion – C$34 billion more than the value Canada earned from its crude exports to the U.S. The key with respect to NAFTA is that, because Canada is unable to export elsewhere, the U.S. profits from access to landlocked, and as a result discounted, Canadian oil. It needs our oil. Oil is currently shipped west through the ports of Vancouver, Prince Rupert and Kitimat. By banning tankers from loading crude and persistent oil at volumes greater than 12,500 metric tons (about 90,000 barrels) at deep water ports on B.C.’s north coast, Bill C-48 will restrict western shipments of oil to only one – the Port of Vancouver. This will constrain our ability to increase shipments of crude oil to Asia in the future – something the Americans will be aware of. NAFTA leverage is important. But we have none when the U.S. knows that without access to Asian markets we are its captive producer. On the other hand, access to Asian markets for that oil, which means so much to U.S. business and profits, would give us a significant bargaining chip. Thank you for taking time to consider the Canada West Foundation’s comments as you review Bill C-48. The Foundation would be happy to appear before the committee to answer any questions members may have. U.S. Energy Information Administration, U.S. imports by Country of Origin, https://www.eia.gov/dnav/pet/pet_move_impcus_a2_nus_epc0_im0_mbblpd_a.htm, September 2017.